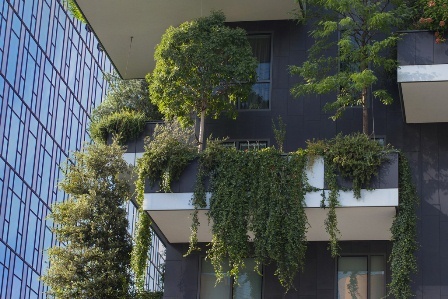 Each scheme provides sustainable high-density housing and office space packed heavily with greenery, as a way to depollute the surrounding environment by filtering dust particles from the air and absorbing carbon dioxide. 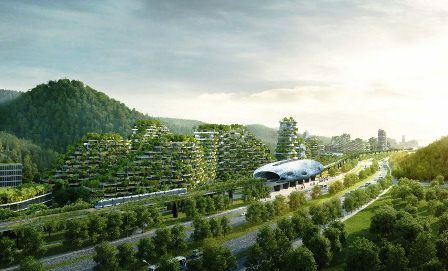 Liuzhou will provide homes for 30,000 across a variety of residential areas, and include commercial and recreational spaces, two schools and a hospital. 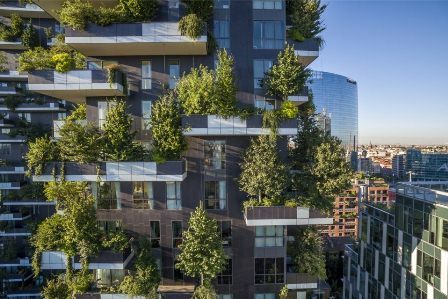 The architect estimates that the greenery will absorb nearly 10,000 tonnes of CO2 and 57 tonnes of pollutants per year, while also produce approximately 900 tonnes of oxygen. 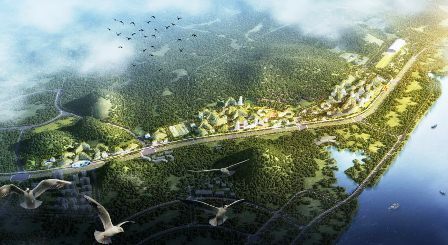 Commissioned by Liuzhou Municipality Urban Planning, the complex will also be sustainable. It will use a geothermal source for air-conditioning and solar roof panels to collect renewable energy, while a fast rail line will be used by electric cars. 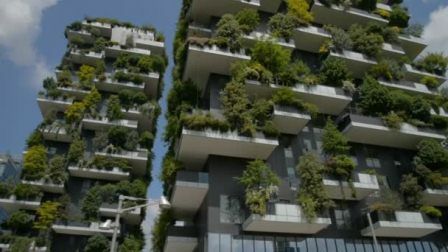 This, combined with it’s smog-eating walls, will make the city a world’s first according to the architects. 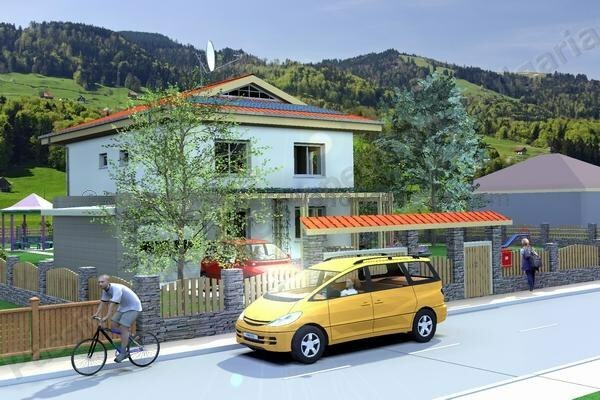 Other benefits of the schemes include reducing air temperature, providing noise barriers to busy traffic areas and creating homes for birds, insects and small animals. Dezeen created a video exploring Boeri’s radical proposals for the Dezeen x MINI Living Initiative. 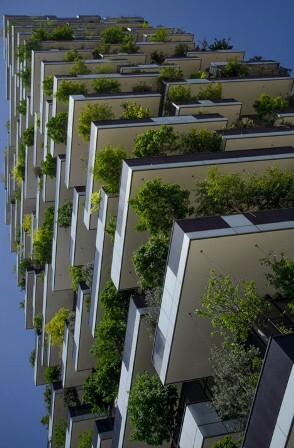 Along with the projects in China, it also features the 36-storey tower in Lausanne, Switzerland, called Les Terraces des Cedres. 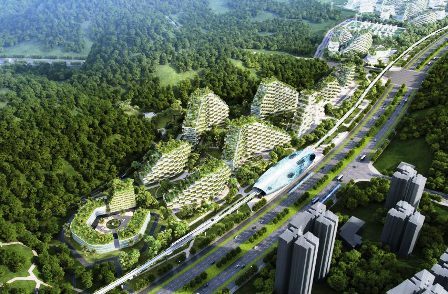 Construction for the project is slated to commence in 2020. 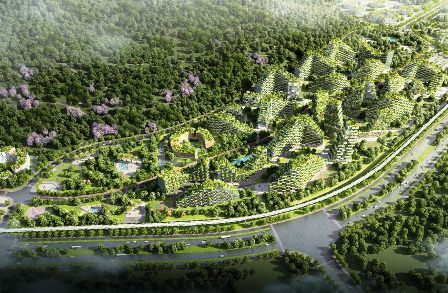 The Forest City concept follows a number of proposals by architects and designers to improve the quality of air in cities. 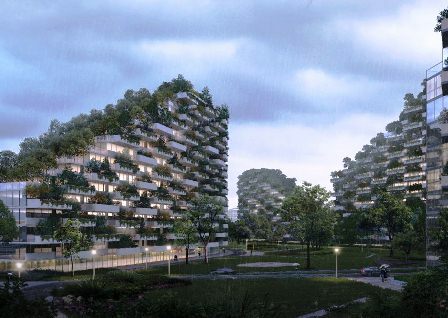 Others include Daan Roosegaarde’s Smog Free Tower, which is modelled on his pollution-eating vacuum cleaner, and a music school with a mossy roof designed to absorb airborne pollutants. 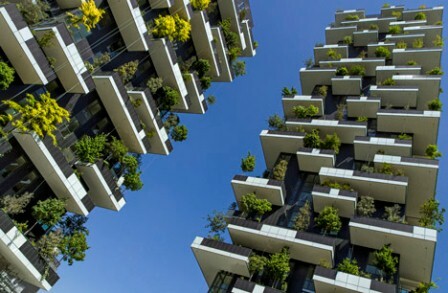 Plant-covered buildings are also proving extremely popular with architects including Kengo Kuma,Jean Nouvel and Herzog & de Meuron all covering projects in greenery. 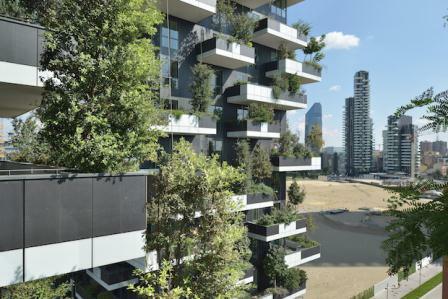 Renderings are courtesy of Stefano Boeri Architetti.